Ten new novels are hitting the shelves this November, including the illustrated edition of Fantastic Beasts and Where to Find Them and the Kickstarter-funded Good Night Stories For Rebel Girls 2. “This is the definitive visual biography of Barack Obama’s historic Presidency, captured in unprecedented detail by his White House photographer–and presented in an oversize, 12″x10” exquisitely produced format, and featuring a foreword from the President himself. Pete Souza served as Chief Official White House Photographer for President Obama’s full two terms. He was with the President during more crucial moments than anyone else–and he photographed them all. Souza took nearly two million photographs of President Obama, capturing moments both highly classified and disarmingly candid. Obama: An Intimate Portrait reproduces Souza’s most iconic photographs in exquisite detail, more than three hundred in all. Some have never been published. These photographs document the most consequential hours of the Presidency–including the historic image of President Obama and his advisors in the Situation Room during the bin Laden mission–alongside unguarded moments with the President’s family, his encounters with children, interactions with world leaders and cultural figures, and more. 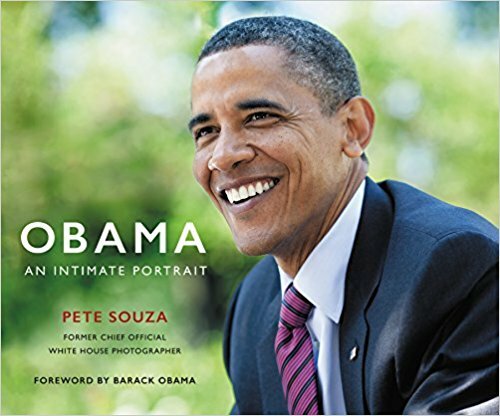 Souza’s photographs, with the behind-the-scenes captions and stories that accompany them, communicate the pace and power of our nation’s highest office. They also reveal the spirit of the extraordinary man who became our President. We see President Obama lead our nation through monumental challenges, comfort us in calamity and loss, share in hard-won victories, and set a singular example to “be kind and be useful,” as he would instruct his daughters. 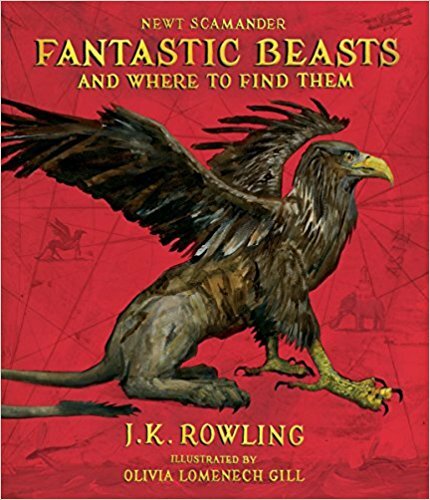 “An essential companion to the Harry Potter novels, now fully illustrated!Fantastic Beasts and Where to Find Them, Newt Scamander’s classic compendium of magical creatures, has delighted generations of wizarding readers. With this beautiful, large-scale new edition illustrated in full color, Muggles too will have the chance to discover where the Runespoor lives, what the Puffskein eats, and why shiny objects should always be kept away from the Niffler. 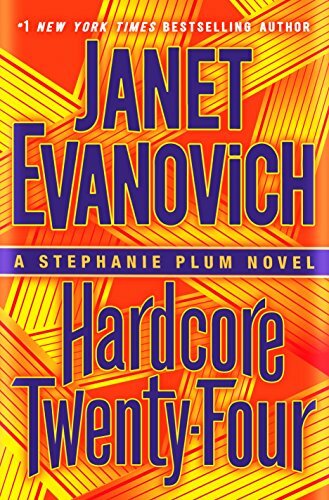 “Janet Evanovich’s #1 New York Times bestselling sensation Stephanie Plum returns in her twenty-forth thriller as mutilated corpses litter the streets of New Jersey…Trouble comes in bunches for Stephanie Plum. First, professional grave robber and semi-professional loon, Simon Diggery, won’t let her take him in until she agrees to care for his boa constrictor, Ethel. Stephanie’s main qualification for babysitting an extremely large snake is that she owns a stun gun—whether that’s for use on the wandering serpent or the petrified neighbors remains to be seen. 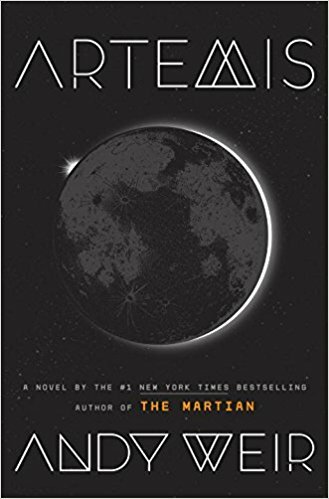 “The bestselling author of The Martian returns with an irresistible new near-future thriller—a heist story set on the moon. 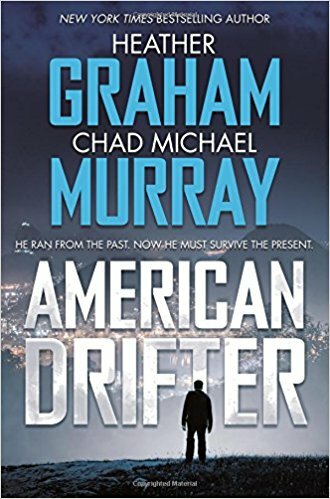 “New York Times bestselling author Heather Graham has teamed up with celebrated actor and celebrity icon Chad Michael Murray to weave a tale of passion and danger in the captivating thriller suspense, American Drifter.A young veteran of the US Army, River Roulet is struggling to shake the horrors of his past. War is behind him, but the memories remain. Desperate to distract himself from the images haunting him daily, River abandons the world he knows and flees to the country he’s always dreamed of visiting: Brazil. Rio de Janeiro is everything he hoped for and more. In the lead-up to Carnaval, the city is alight with music, energy, and life. With a few friends at his side, River seems to be pulling his life together at last. Then he meets the enchanting Natal, an impassioned journalist and free spirit―who lives with the gangster that rules much of Rio. As their romance blossoms, River and Natal flee together into the interior of Brazil, where they are pursued by the sadistic drug lord, Tio Amato, and his men. When River is forced to kill one of those men, the chase becomes even deadlier. Not only is the powerful drug boss after them, the Brazilian government is on their trail as well. “A deeply moving memoir about the year that would forever change both a family and a country. In November 2014, thirteen members of the Biden family gathered on Nantucket for Thanksgiving, a tradition they had been celebrating for the past forty years; it was the one constant in what had become a hectic, scrutinized, and overscheduled life. The Thanksgiving holiday was a much-needed respite, a time to connect, a time to reflect on what the year had brought, and what the future might hold. But this year felt different from all those that had come before. Joe and Jill Biden’s eldest son, Beau, had been diagnosed with a malignant brain tumor fifteen months earlier, and his survival was uncertain. “Promise me, Dad,” Beau had told his father. “Give me your word that no matter what happens, you’re going to be all right.” Joe Biden gave him his word. 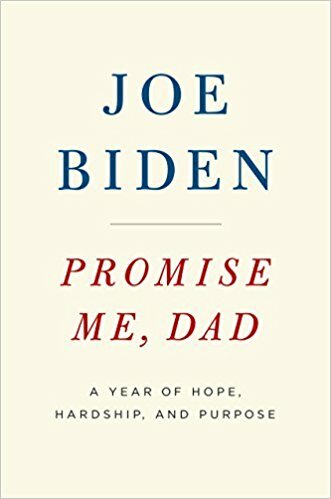 Promise Me, Dad chronicles the year that followed, which would be the most momentous and challenging in Joe Biden’s extraordinary life and career. Vice President Biden traveled more than a hundred thousand miles that year, across the world, dealing with crises in Ukraine, Central America, and Iraq. When a call came from New York, or Capitol Hill, or Kyiv, or Baghdad―“Joe, I need your help”―he responded. For twelve months, while Beau fought for and then lost his life, the vice president balanced the twin imperatives of living up to his responsibilities to his country and his responsibilities to his family. And never far away was the insistent and urgent question of whether he should seek the presidency in 2016. “Good Night Stories For Rebel Girls 2 features 100 new bedtime stories, each inspired by the life and adventures of extraordinary women from Nefertiti to Beyonce. 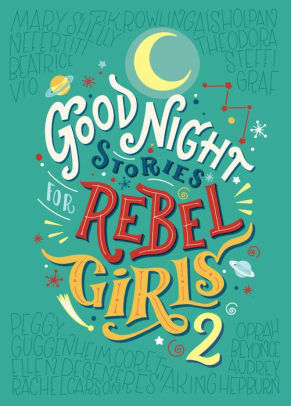 The unique narrative style of Good Night Stories for Rebel Girls transforms each biography into a fairy-tale, filling the readers with wonder and with a burning curiosity to know more about each hero. Good Night Stories for Rebel Girls 2 boasts a brand new graphic design, a detachable map, a glossary and 100 incredible new portraits created by the best female artists of our time. 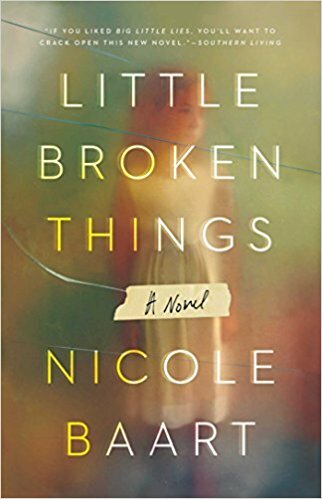 “An engrossing and suspenseful novel for fans of Liane Moriarty and Amy Hatvany about an affluent suburban family whose carefully constructed facade starts to come apart with the unexpected arrival of an endangered young girl. I have something for you. When Quinn Cruz receives that cryptic text message from her older sister Nora, she doesn’t think much of it. They haven’t seen each other in nearly a year and thanks to Nora’s fierce aloofness, their relationship consists mostly of infrequent phone calls and an occasional email or text. But when a haunted Nora shows up at the lake near Quinn’s house just hours later, a chain reaction is set into motion that will change both of their lives forever. “For the past six months, Arthur Moses’s days have looked the same: He tends to his rose garden and to Gordon, his cat, then rides the bus to the cemetery to visit his beloved late wife for lunch. 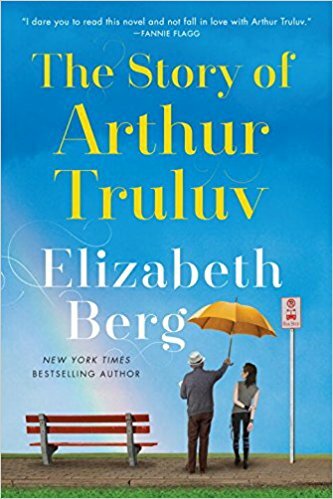 The last thing Arthur would imagine is for one unlikely encounter to utterly transform his life. “E L James revisits the world of Fifty Shades with a deeper and darker take on the love story that has enthralled millions of readers around the globe.